This was my first painting filmed on youtube!! Help support my Art and buy this cool painting! SKU: SprayPaintArt1. 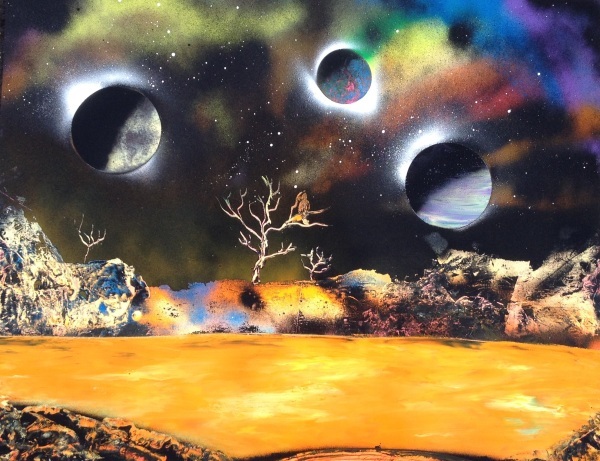 Category: Spray Paint Art. Tags: bird, Four Planets, lake, planets, spray paint, spray paint art, tree.